The Lakers and the Mavs will both attempt to get their season back on track when the two teams meet in LA on Wednesday night. The Lakers (2-5, 1-2 home) have been disappointing so far this season. The expectations were huge after LA signed Lebron in the offseason, but the results are not coming and the team seems to lack any kind of identity. The Lakers are also riding a two game losing streak. However, there is no reason to panic – most of the losses were competitive, and it`s only natural for the Lakers to need some time to find chemistry and adjust to Lebron James. 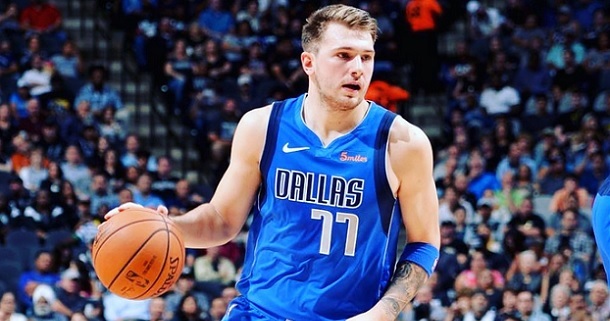 The Mavs (2-5, 0-4 away) are coming after four consecutive losses and the negative record is not what they were hoping for – as the Mavs were (and still are) considered a dark hose to make the playoffs after the additions of Doncic and Jordan. Nevertheless, Dallas does seem to be improving with each game, and the team was very competitive in the last outing two nights ago, when they went to overtime in San Antonio, eventually losing by 5. Bet on Lakers v Mavs and claim your 100% (120 Eur) welcome bonus at LSbet now! Team news: The Lakers don`t have noteworthy injuries (will continue to miss Wagner and Beasley is doubtful), while the Mavs will be again without Harris and Nowitzki. The Lakers will probably be fine long term, and they didn`t play that bad so far either, despite their record. However, it`s clear that the team is not clicking like it`s supposed to. There is no clear gameplan aside of run & gun, chemistry is an issue, and the pieces don`t seem to fit that well – which was also a concern before the season. The Mavs are no world beaters, but they have clearly improved this season. They might not have quite the same level of talent LA has (basically they don`t have Lebron), but they do have more cohesion, and are better coached. They played great two nights ago in San Antonio and if they repeat that performance they could even win this in LA, as the Lakers are a worse team than the Spurs. The Lakers deserve to be favorites at home but the 7.5 or 8 point handicap definitely looks on the high side. The Mavs lost just one game by more than 9 points (the first of the season) and they have been competitive in their last 4 losses, so a shaky LA side should find it difficult to create separation here. My prediction on this one will be for Dallas Mavericks to cover the 8 point (asian) handicap. Prediction: LA Lakers – Dallas Mavericks 115 – 117.